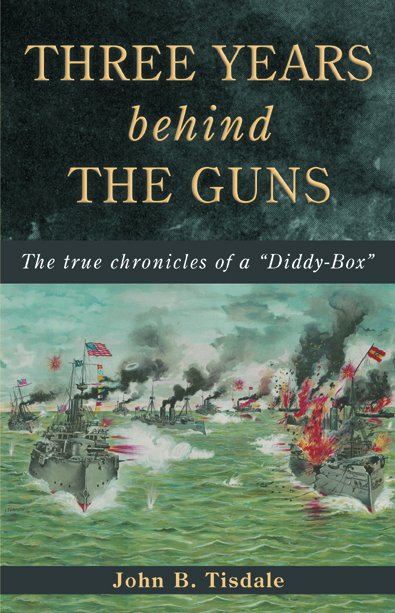 The True Chronicles of a "Diddy-Box"
"An intimate record of life aboard an American man-of-war...written with such detail, vivacity, and the knack for vivid expression that it keeps one turning pages until the last one is reached. This Jackie has keen eyes and quick ears, and can put the things he saw and thought about into particularly vigorous English....This book affords an entertaining and occasionally edifying, confidential account of all that one particular man-'o-war's man thought and felt and did during three years service." "No such intimate record of life aboard an American man-o’-war has ever been penned....Though sufficiently simple and direct in style to hold the interest of the young reader, this book will be found by grown-ups to be absorbing as a novel....The hero of this chronicle ran away from his comfortable home in San Francisco and enlisted just in time to cross the Pacific Ocean on the Olympia and share in the Battle of Manila Bay, on the flagship with Dewey. Day by day he sets down the happenings, observations, and feelings of the lad who finds himself part of the machinery of an American battleship first, and later an actor in one of the most dramatic battles of history. He was an observing fellow, always in the midst of things; and his observations are shrewd and keen and worth the reading." "Many of my friends and I have read [Three Years Behind the Guns] with the greatest interest. I can vouch for many of the facts; and the description of the Battle of Manila Bay is one of the best I have ever seen published. The type and active life of our American seamen is well and interestingly portrayed, and the book is well worth the attention of both young and old." 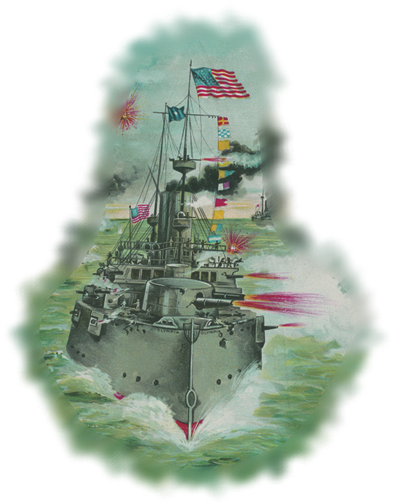 When Commodore George Dewey's Asiatic Squadron sailed into Manila Bay on May 1, 1898 to defeat the Spanish fleet, it marked a major turning point in American history. Aboard Dewey's flagship, Olympia, one very young sailor with a keen eye and agile pen was writing it all down. Having run away from home to join the navy in 1895, Jack Tisdale hoped that he would be lucky enough to land a berth aboard the Olympia—a modern steel protected cruiser and flagship of the US Asiatic Squadron. He ended up getting his wish, and a lot more than he bargained for. 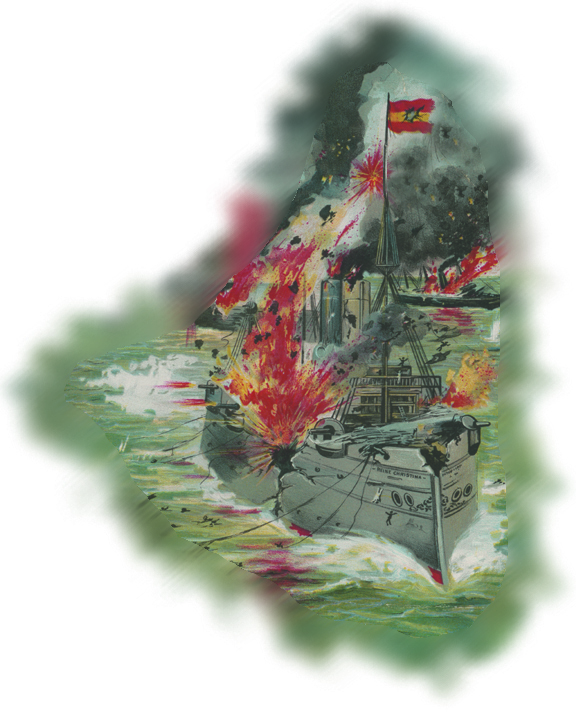 Originally published in 1908—a decade after the events described—Three Years Behind the Guns is an amusing, gritty look at life aboard a man-o'-war at a time when the United States was on the cusp of becoming a great power. Though a memoir, the author writes with all the youthful exuberence of the age, describing his experiences with good humor and verve, even when they stretch the bounds of credulity. There are literal fish-stories here, such as when Jack captures a two-foot long flying fish on the deck, or when his shipmate nearly loses a toe while doing some illicit angling. But there are also descriptions of more somber events, such as the death of a shipmate during gunnery practice, or the midnight wreck of a Chinese steamer. Stories of his adventures at various ports of call are myriad, crowned by his unique perspective on the Battle of Manila Bay as a member of the crew of Olympia's main guns. Tisdale's ship, USS Olympia, still exists to this day as a museum in Philadelphia, PA, where visitors may see how the decorative wood paneling and furniture in the officers quarters contrasts sharply with the painted steel and spartan decks of her crew quarters and engineering spaces. Like the ship, Three Years Behind the Guns is a hybrid—part solid fact, part work of art. Such beautiful mementos of our bygone history deserve to be maintained if for no other reason than as concrete reminders of how we got here. A portion of the sales of this edition of Three Years Behind the Guns will be donated to the Independence Seaport Museum in Philadelphia for the continuing upkeep and maintenance of USFS Olympia. Though first published anonymously, Three Years Behind the Guns was later published under the name Lieu Tisdale. There was no one of that precise name aboard Olympia according to the ship's roster at the Battle of Manila Bay. There was, however, a John B. Tisdale who seems to have served aboard USFS Olympia from 1895 through 1898. Given that the main character of the work is called "Jack" throughout the book, John B. Tisdale is most likely the author. To order Three Years Behind the Guns in paperback with a 10% discount using a credit card, click the button below.